Tag: gameplay | Something Odd! Fly! The new Minecraft map is now live! Minecraft is dead, long live Minecraft! 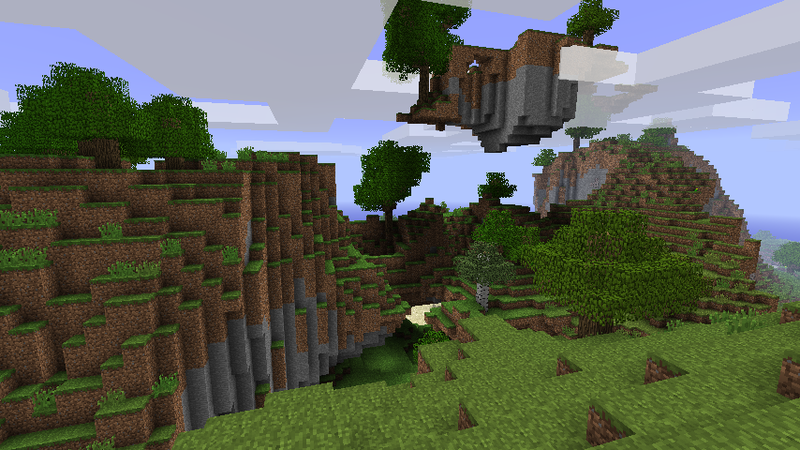 The old map that used to be on the Minecraft server is gone, and replaced with a fabulous map generated from the seed “fly”. Don’t worry, the old map isn’t completely gone. When you login there’s a link to the zip file where you can download it, and instructions on installing it too. That’s what an hour and a half of playing Sanctum looks like! Great games with the guys last night but in casual mode it’s just a little too easy. The damage to our core happened when enemy flew over us and we were so busy shooting the ground based guys! I think Tye and Duck both recorded a few rounds so there might be a commentary coming from them in the next few days. Woah! Beat Hazard Ultra is a manic asteroids type game where the tempo of the game is dictated by the music you choose. I picked 90’s classic Megablast by Bomb The Base. Great fun. The score above is nothing special, but the mix of familiar or favourite music and hectic gameplay is a winner! A recent game I had with Gavin and ThrashHMG against a very tough attacking team. Somehow we kept them off, and I think they were just unlucky not to get the 3rd base as they flanked behind us and were picking off defenders at their leisure! First go playing TF2 online! So, after playing against bots for a few days I joined a Team Fortress 2 server this evening with David and we had a pretty good time! First David joined an empty payload server escorting a train to the other side of the map. 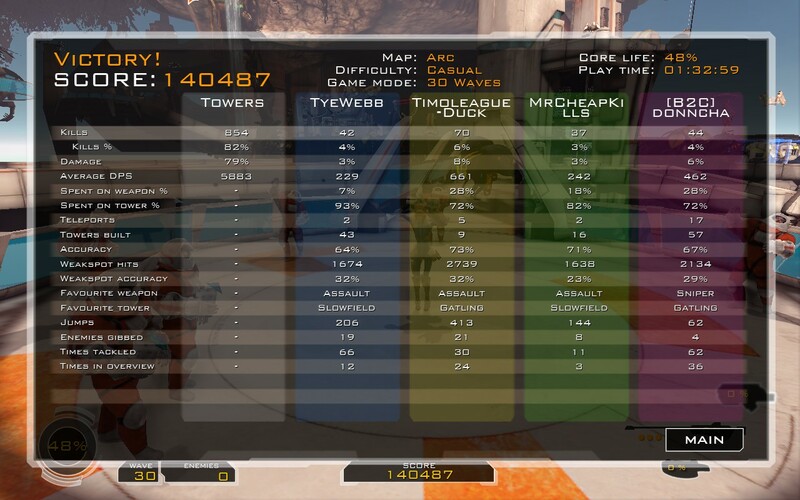 Good clean fragging fun there, especially with a rocket launcher! PS. Thanks Deffik and Shaz for the games of Bad Company 2. My computer just wasn’t up to the task this evening, though I did enjoy taking down all those helis with the VADS! David blasting my team to smithereens with his minigun! I could die here, awesome! Footage from a great session of Left 4 Dead 2 games the other night on PC with TyeWebb, Shaz1874 and of course MrCheapKills who recorded the video. NSFW audio but of course why would you be watching a gameplay video during work? A very impressive monolithic tower on our Minecraft server, extending right from the bottom of the world to the top (I think). I’m getting dizzy just looking up..